Saturday, April 6th, marked the first day of the year for some long casting. Hot Rod Baits was holding an open bass tournament at Rock Creek Lake, and that is where I wanted to be. It was the first time out in the boat, and quite honestly I wasn't sure I was ready for the open water season. The ice season, although very long, seemed it could have just continued and I would have been fine with it. However, Mother Nature was slowly turning the clock to spring and the open water season had begun. 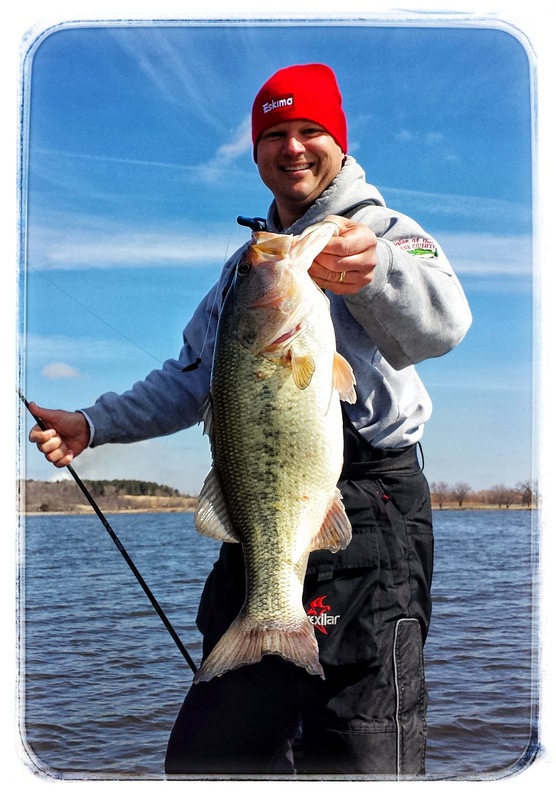 Rock Creek Lake is known for some huge bass, and that is what many people had high hopes of on this chilly day. Air temperatures ranged from 28-50 degrees and water temperatures were between 42-47 degrees. As I told my partner, Zach Maxfield on the trip down to the lake, I was looking for one bite. That one bite came at about 11am, 2 hours after we started. It was the usual soft early spring bite, and when I set the hook and the fish pulled back drag on the Quantum Energy PT reel, all I could say is..."it's a good one". Zach quickly got the net, and scooped the bass in rather quickly. The battle only lasted a few seconds, which seemed like minutes, but when Zach lifted the bass into the boat, we both just looked at each other. It was big...at the time we didn't know how big, I just wanted to get a quick picture and get the fish into the livewell as soon as possible. We didn't touch the fish until weigh-in time, trying to leave it alone so it could relax. Zach and I talked about how big we thought it might be, and we thought maybe six pounds, but it is so hard to tell without a scale measurement. The weigh-in came and it was 6.35#. I caught another one shortly after that big one that was about 3.50# too. 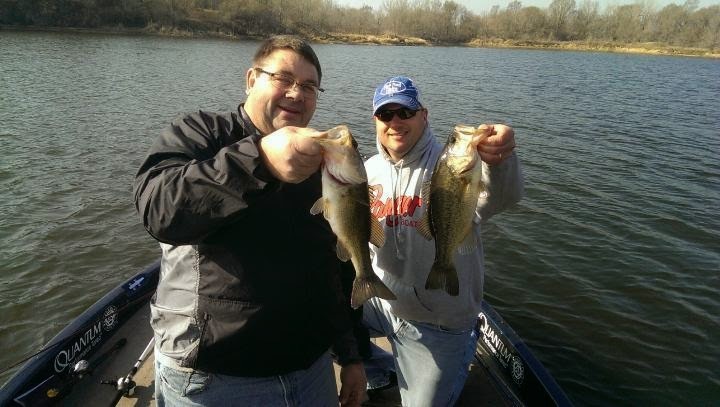 Both bass came on a Hot Rod Baits Big Daddy in the bruizer color rigged Texas style. When I saw the scale reach six pounds, and then it just went up from there and settled on 6.35, I was ecstatic. That fish is the biggest bass I have ever caught in my life. I have caught two other bass over six pounds, but not as big as this one. A proud day for me, and one I won't forget for a long time.